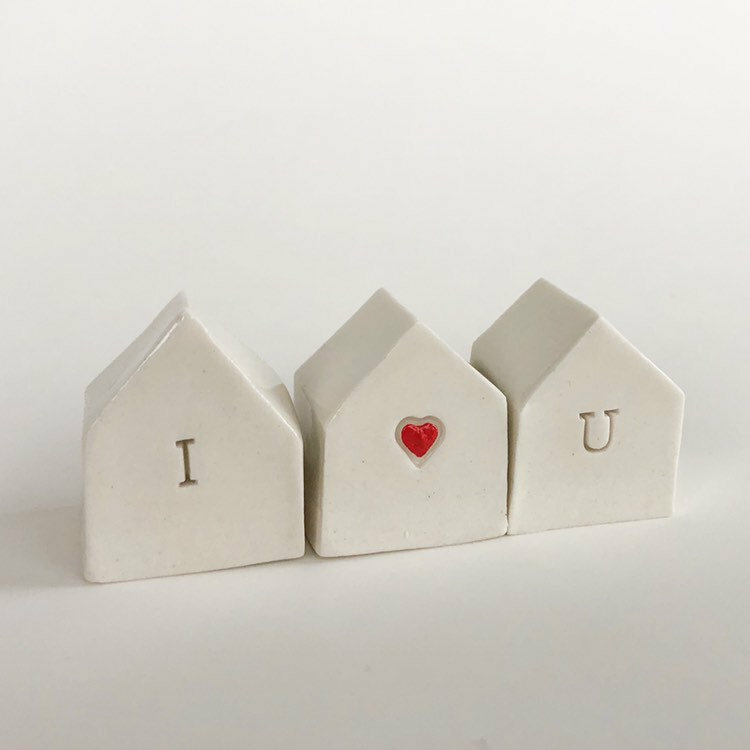 Set of 3 I Love You Porcelain Clay Houses with heart for Perfect Valentines Day Gift or Anniversary Gift. 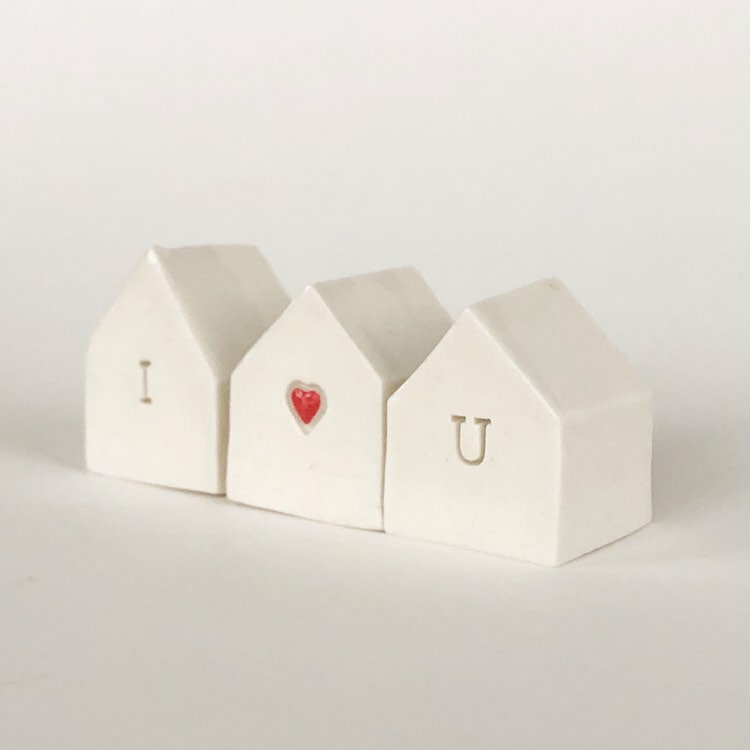 Say "I love You " with these tiny clay houses, keep them forever as keepsakes and pass them down to generations as heirlooms. 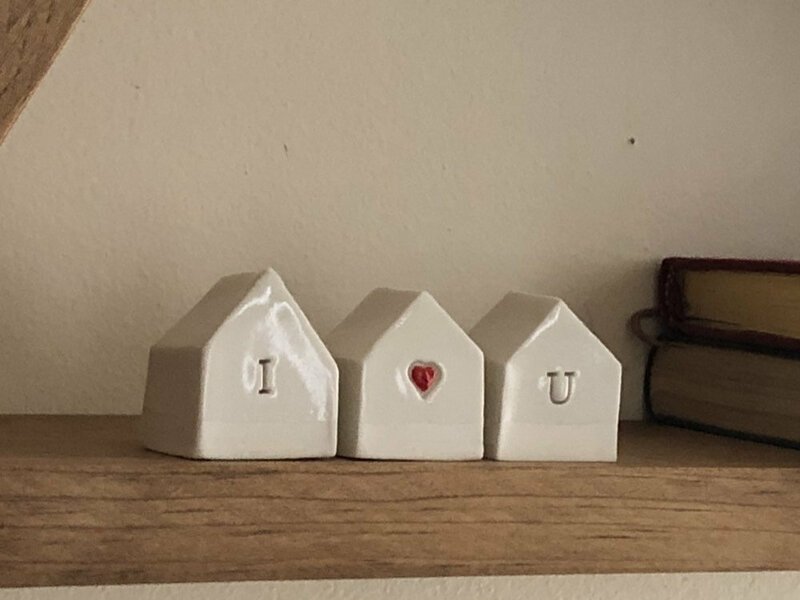 Made of high quality porcelain clay, entirely handmade without use of moulds or cutters. 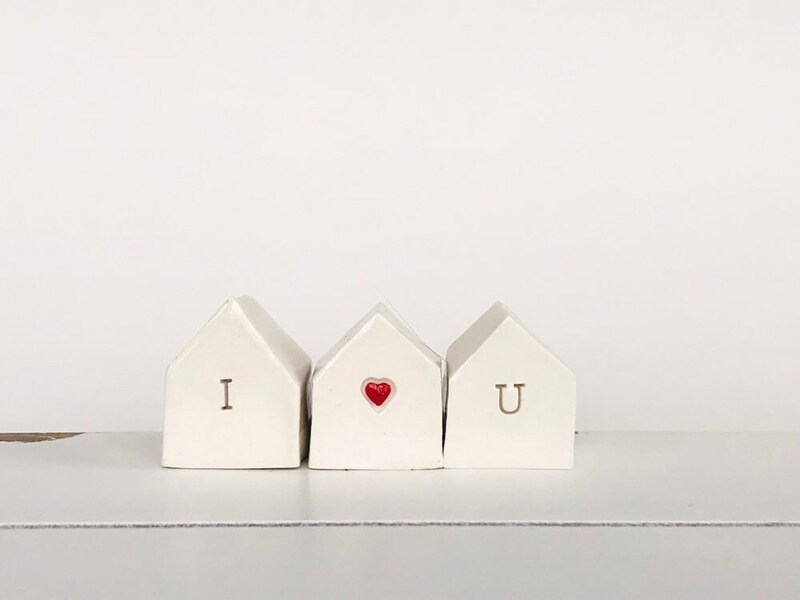 These tiny sculptures are formed indivudualy not one is same as the other which makes each one a unique piece of art. 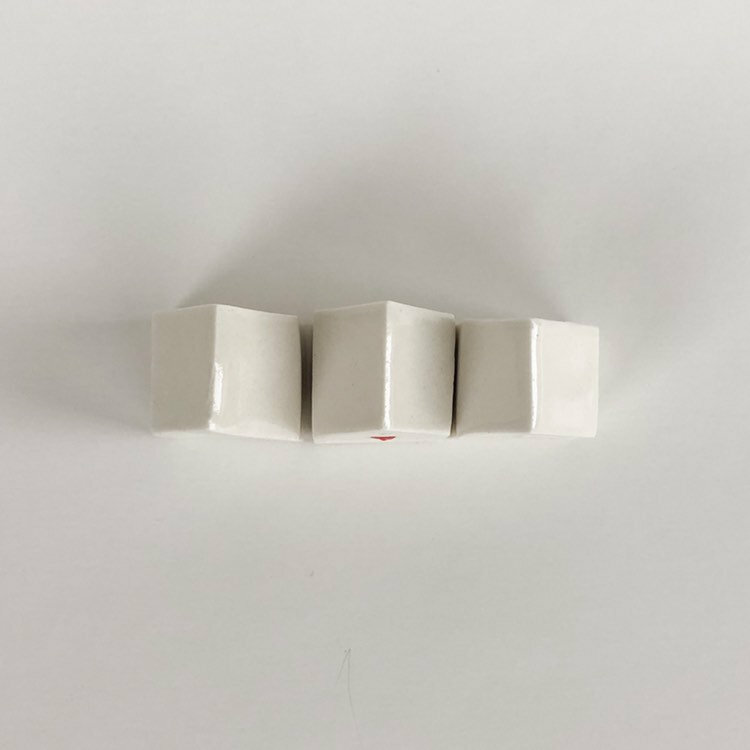 Each one is hand painted and dipped in glossy glaze for subtle but classy glamour. Handcrafting these one of a kind figurines take a lot of patience! 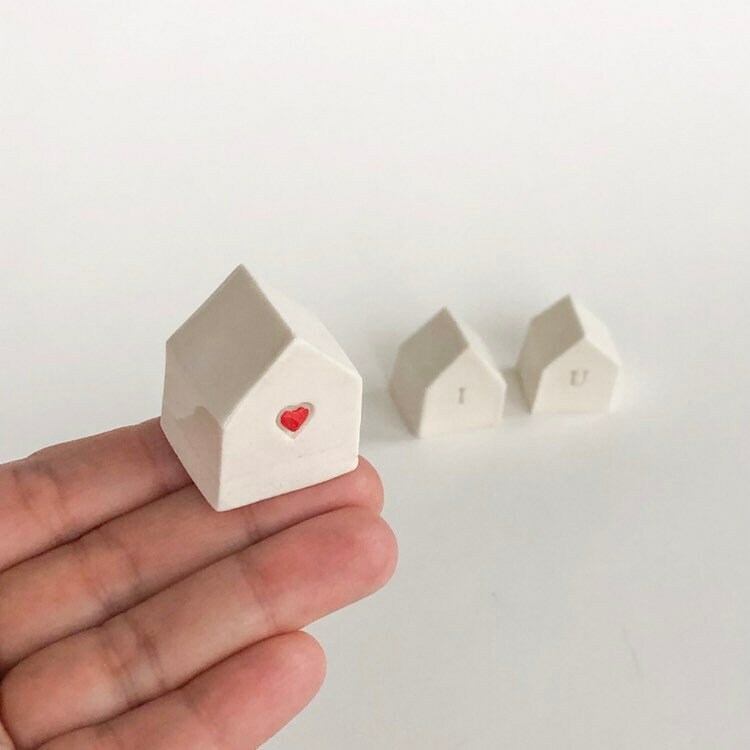 They need to be sculpted, slowly dried, bisque fired at 1945 º F , than dipped into glossy clear glaze and fired once more to 2232 º F .
I know it it is a lot work and a very long process but when they finally come out of the kiln so shiny and so tiny looking like jewels, makes this whole process well worth it.